It's been an interesting summer for me. At the beginning of the summer, while gardening, I was bitten by a spider. It was a nasty bite and I was prescribed antibiotics at the hospital. Weeks later I was hit with vertigo that lasted up until a few weeks ago....so it's been a pretty quiet summer for me. But all of that is in the past. 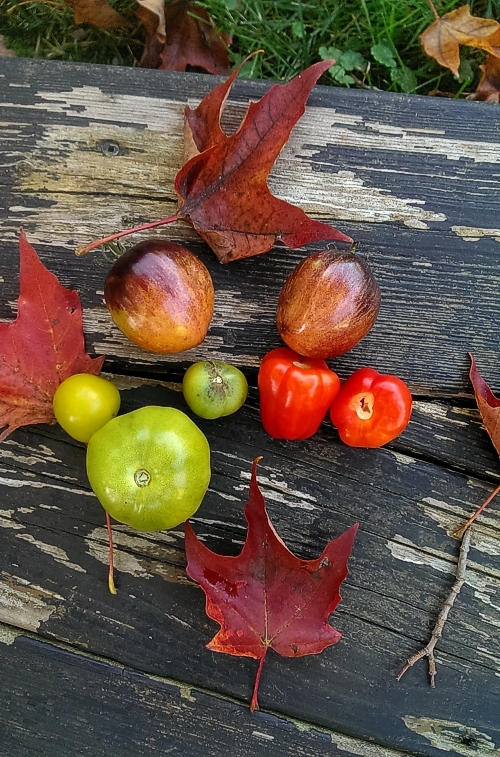 Today, is a glorious warm autumn day so I took a photo of the last of my tomatoes and mini peppers. We've had wonderful salads and tomato sauce with more sauce in the freezer for the winter. I took the shot of the butterfly with my phone a few weeks back. This small white butterfly kept moving around my lavender....I don't think it helped that I still had vertigo. 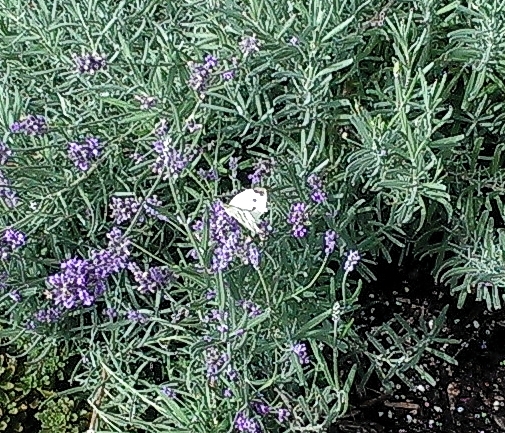 Anyway, I think it's called a Cabbage White or Pieris Rapae. Everyone has chrysanthemums (mums) in the fall, and so do I. At the end of October I remove the plant from the container and plant them in my garden for fall colour. 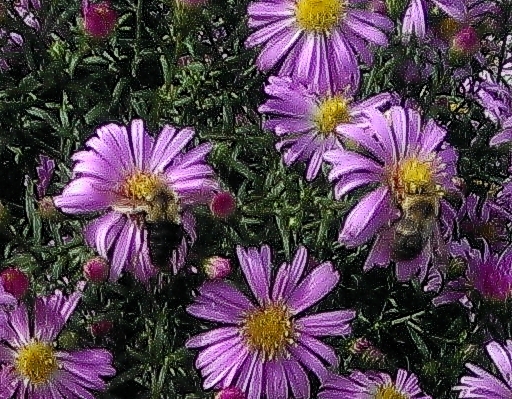 Asters are a wonderful fall plant too but they are hard to find around here. So I guess I was lucky when I came across these plants a few years back. They're nice and big now and the bumble bees love them. I have 3 plants and each one must have at least 25 bees at any one time. These little guys look a bit blurry because they're busy getting pollen. And I took the shot with my phone.... my vertigo is gone!